This is the second article in our series called, Love Selling Your Home: Minimize Your Stress, Maximize Your Profit. It’s a step-by-step guide of the entire home-selling process — from finding a real estate agent to being prepared for your settlement day. Look for a new, informative article each week! You’re ready to sell your home, but how do you know if potential buyers will love it or not? In real estate we call it the “sale-ability” factor of a home. This comes into play when you compare your home to others that have sold recently in your neighborhood and how you should price your own home to draw buyers in. Before you list your home, you and your agent will consider some key factors when determining the listing price to ensure that you home is priced right from the very beginning. The condition and location of your home have the biggest impact on the price and expected time frame for selling. And if you’re a condo owner, you’ve got a whole other set of factors that can affect your unit’s sale-ability. To avoid this scenario, carefully (and honestly) examine your home with your agent to see if it’s sellable in today’s market. And if not, decide what you’ll need to do to make it more attractive to buyers. Keep these key factors below in mind as you appraise your own home. Some you can control and change, some you can’t. Take a really honest look at your home compared to the homes that are selling quickly in your neighborhood. Are there small updates that can indicate your home has been well-maintained and is “move-in” ready? If most other homes that are selling in your neighborhood have updated kitchens and bathrooms and features yours does not, then you will need to make sure your home is priced accordingly. That way your buyer can plan to update the home once they move in and not feel like they’ve put more money into the home than it’s worth..
Look at your home with fresh eyes and accept the reality of its features or layout, especially if you can’t change them. Homeowners who’ve lived in a home for a while tend to get used to certain “negative” features that even they didn’t like when they first moved in. If that’s your home, you will need to keep your price at a level that will bring in buyers. Does your home have an awkward layout? How about a backyard that’s basically a hill, or the twenty steps to your front door? Or does it sit on a busy road? Take all of these negatives into consideration and put a positive spin with your pricing. Staging also can help for certain negatives so that buyers can “see” things more positively! Next week, our series will cover more of the specifics of what you can to do make your home shine for buyers, including what projects are worth the time and money to help your home sell for more money. Stay tuned! 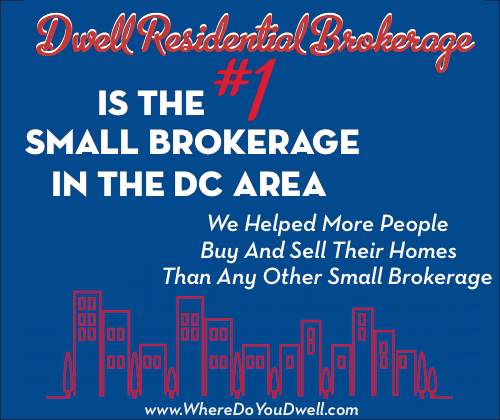 Most sellers know that location, location, location can be a selling point. Certain neighborhoods are hot and, on the flip side, certain neighborhoods are just not as desirable. What’s yours right now? Your agent can give you an idea of the current housing market of your particular neighborhood, and where it could be headed in the next few years. If it’s a neighborhood in transition, have your agent create a “coming soon” map or provide copies of articles at your home to highlight everything that is coming. You can’t change the location of your home so it’s a bigger challenge if you live near certain things that are just not attractive to buyers. Are you too close to a school or a fire station? Do you live on a busy street or busy corner lot? Is your home near power lines? What about a commercial district that is more industrial than hip? Your price will need to reflect these negatives to get the buyers to view it. Look for some positives to your location that can be a big plus for your home and can offset any negatives it may have with buyers. Do you live in a cul-de-sac or have an amazing view? What about a well-regarded school district? Are you near a park or running/bike trail? Make sure to tout these differences that are positive so that buyers who are unfamiliar with the location know what makes your home a great choice for them. Keep up-to-date on any current new developments or new buildings going up around your home. Your agent will consider any impact, both positive and negative, on your home’s price and its appeal to buyers. Can you wait till the construction ends to list your home? Will there be more traffic? Will new stores and better amenities come into the neighborhood? The timing of your home’s listing can affect both the price and length of time it takes to sell. Usually springtime is at the height of the selling season with lots of very interested buyers. However, that also means your home will face more competition from other listings. This is when you need to truly know how your home stands up to the competition around it. Carefully consider the pros and cons if you decide to list your home during the holidays or the winter. Although there is less competition from other listings, most buyers take a break from their home-buying search at this time. However, you’ll find committed buyers then. Typically, homes that are listed from Thanksgiving to New Year’s often sit longer and sell for less. Usually the same house re-listed during the spring market sells more quickly and for a higher price. If you live in a condo, then you’re dealing with a whole other set off issues when determining the “sale-ability” factor of your home. First and foremost is the financial health of your condo community. Does it have enough reserves or is it strapped for money? Lenders want to see at least 10% of the yearly budget going to a reserve account. If this is not the case, they simply will refuse a loan in the building even though YOU might be financially qualified for that price point. Other factors to consider: Have there been any special assessments recently? Is the association keeping up with repairs and maintenance? No buyer wants to get trapped with a condo association that is not well run. Remember, each buyer will review those very important condo documents to get the complete picture! One sign that a condo community is stable is that the owner occupancy rate is high, and units are not investor-owned or rented as much. Having a high owner-occupancy rate is one of the requirements for a condo community to be FHA-approved and to meet Fannie Mae requirements. Another ratio that is often overlooked is whether one entity or person owns more than 10% of the units. Again, if this one tiny ratio is out of whack, the lenders will refuse to lend a buyer funds to buy any unit in your building. This lowers the pool of buyers that could buy your home, therefore reducing your price compared to the building next door. Stay tuned for next week’s article in our series Love Selling Your Home. We will help you prepare your home so that buyers will love it. 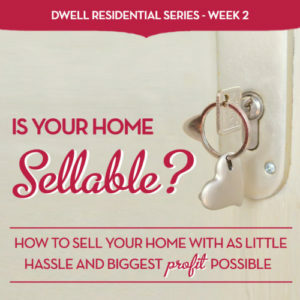 Today’s article helped you look at your home to determine its sell-ability. Next, what you can do to cancel out some of those negatives — Easy Fix Ups to Make Your Home Shine.